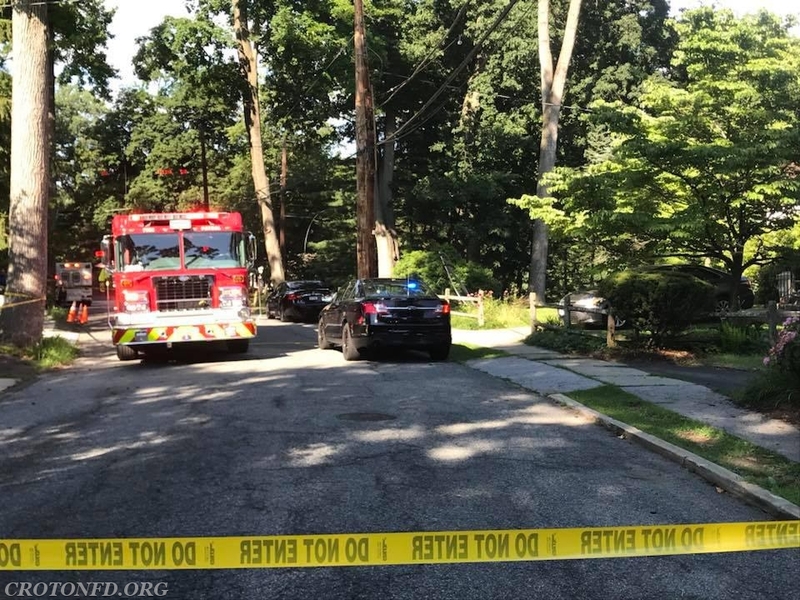 At 3:20 PM Wednesday 7/18, Croton-on-Hudson Fire Department was dispatched to a Harmon Park residence to assist Croton Police and EMS with an investigation of a possible chemical suicide. 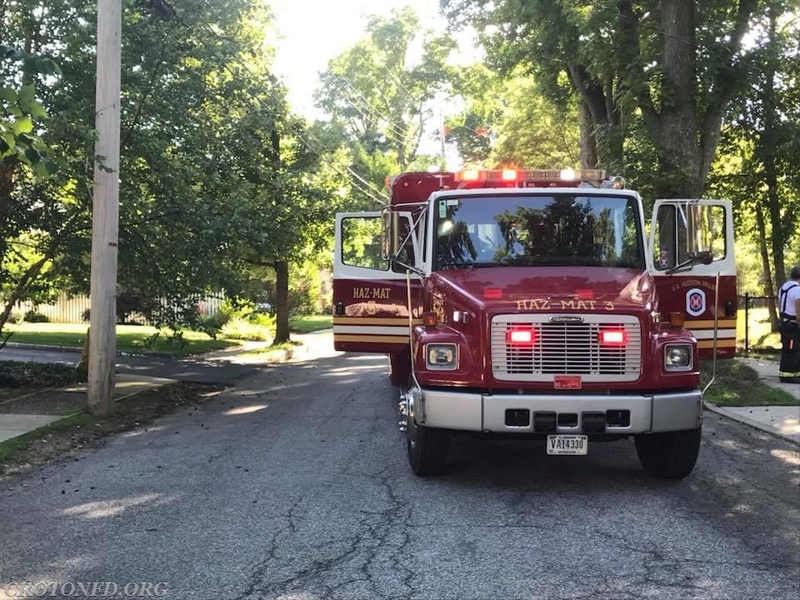 On the initial dispatch was E119, E120, R18 & U14 from the CFD as well as the Montrose VA Hospital Fire Department with their Hazardous Materials unit (HM3). Car 2082 (A/C Munson) was first-arriving and made contact with Croton Police and determined that this would be a somewhat extended incident, and placed our remaining units (E118 & T10) on standby. Note - Shortly after doing so, these Companies responded to an activated Fire Alarm elsewhere in our district along with Car 2081. Making contact with the VAFD, additional EMS was brought to the scene to standby, and a hose line from E119 was stretched to assist with “Gross Decon” of members entering the “Hot Zone.” Additional CFD personnel helped secure a perimeter and acted as a RIT while Hazmat conducted their investigation. Rescue 18 was used to power a fan for ventilation during the PD investigation as well. Once the situation was mitigated, the scene was turned over to Croton Police and all Fire & EMS units cleared the scene around 6:15 PM. We would like to let all of those residents in this area know that, at no time, was there any risk of illness or exposure to anyone nearby to warrant any concern. The area we operated at today was secured out of an over-abundance of caution and to minimize spectators. During this incident, our standby companies (E118 & T10 with Car 2081) also responded to a fire alarm activation in the Croton-Harmon Yards. CFD Units operating were Car 2081, Car 2082, Engine 119 (Washington Engine Company No. 2), Engine 120, Rescue 18 & Utility 14 with over two dozen volunteers. Also on scene were Croton EMS 55B1 & 55B2, Montrose VAFD Haz-Mat 3, Ossining EMS 7411, 74B1 & 74B2, Croton Police and Westchester County Health Department.